vineyards, ground crops and particularly for tall trees like coconut, rubber, areca nut etc. 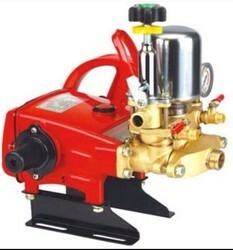 Silic international is importer and supplier of htp power sprayer pumps and offering agricultural power sprayer, which are manufacture using quality material like stainless steel, brass, pvc and rubber. These agricultural power sprayer are extensively used in field crops, rubber & coffee plantations so as to prevent the field from pests. 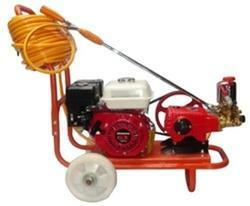 - This sprayer is coupled with 2 Stroke, Single Cylinder, Air cooled, Small size Light weighted engine. - Its construction is simple, operation and maintenance is easy. It has comfortable back-rest cushion to rest on operators back. Comes with adjustable shoulder strap.